Today is my Dad's birthday and whilst my Dad taught me many many things, there are a few of those you tend to benefit from . One of those is to keep persevering and never settle for less than the best. But how does that benefit you? 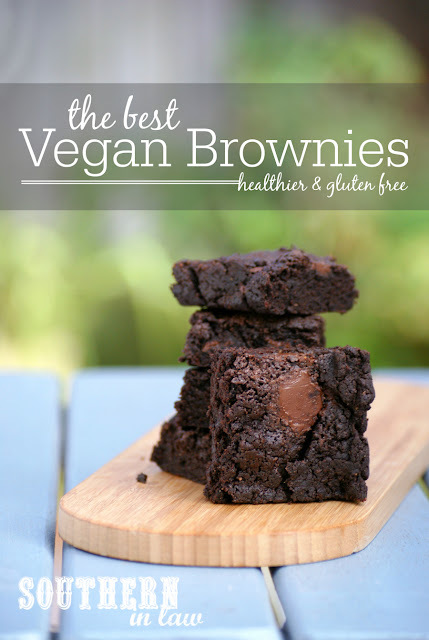 Why, because my Dad also taught me something else; to always share your successes - and luckily for you that means I'm sharing THE BEST VEGAN BROWNIE RECIPE EVER! You see, this brownie recipe took a whole lot of trial and error in my pursuit of perfection - but it was SO worthwhile. 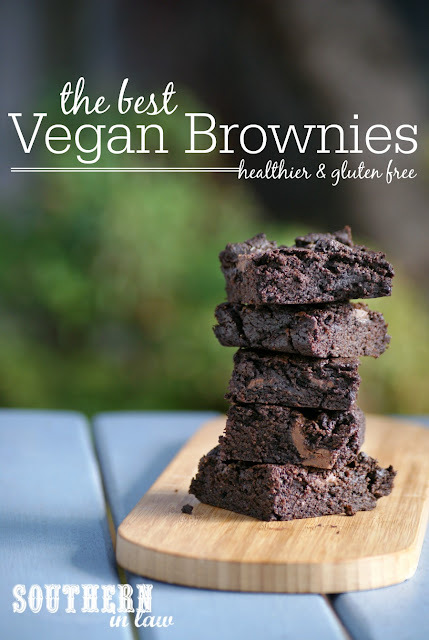 I wanted to create a vegan brownie recipe that was gluten free and healthier but still had the crunchy chewy top and fudgy middles that brownie dreams are made of - and I finally came up with the perfect mix! Especially because it's a super simple one bowl recipe that you can whip up in minutes - and you don't even need to wait for them to cool because... well... does anyone complain about warm gooey brownies?! 3/4 cup (90g) gluten free plain flour *see notes for other options. Mix your plain flour, cocoa powder and baking powder and set aside. Mix your ground flax and water in a small bowl and set aside. In a saucepan (or microwave safe bowl), melt your coconut oil and mix with your applesauce and coconut sugar. Pour your flax mixture into your coconut oil mixture and pour all of your wet ingredients into your dry ingredients. Stir until just combined, adding your chocolate chips/chunks and mixing them through the batter. Place your brownie batter into your prepared tin (it will be thick) and spread it out evenly with a spoon or spatula. Bake your brownies for 15-25 minutes, or until a skewer inserted into the middle removes clean. Allow to cool before slicing and enjoying. 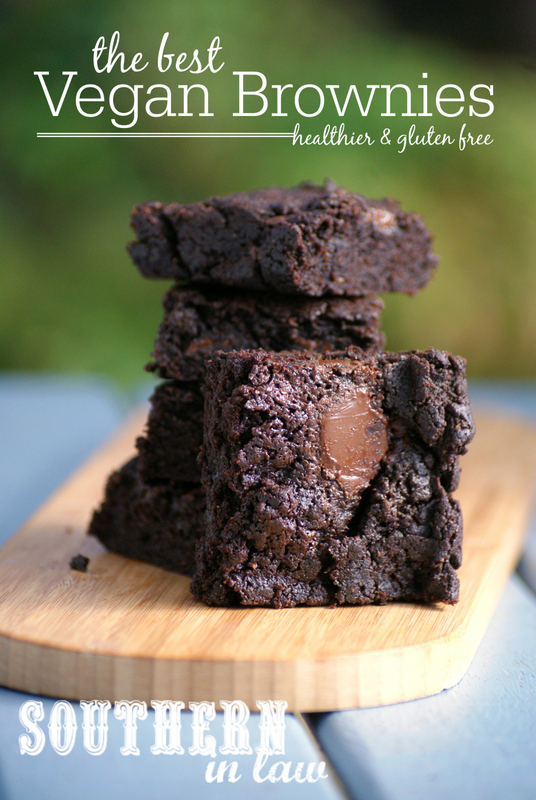 These brownies will keep in an airtight container at room temperature for ~3 days or in the fridge for 4-5 days, however, we think they're best on the day they're baked as their tops are chewy and delicious! *If you have sorghum flour in your pantry, replace 1/4 cup of the plain flour with sorghum flour as it gives it a really nice texture and also adds some extra fibre and nutrients. You could also use 1/4 cup oat flour instead of the sorghum in this mix too. If you're NOT gluten free, feel free to replace the flour with regular plain flour (or 1/2 cup plain + 1/4 cup whole wheat) instead. 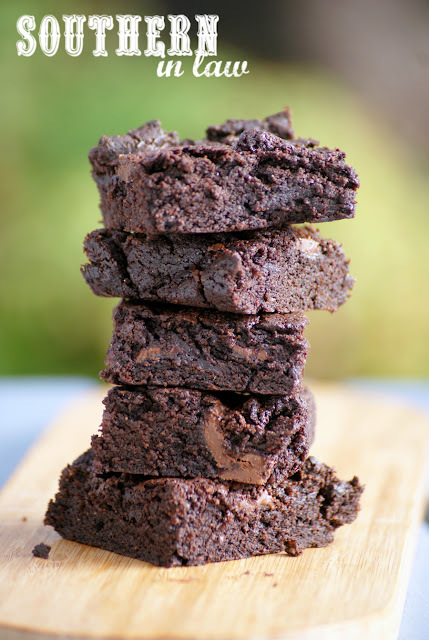 **If you don't like your brownies too rich, use 1/4 cup cocoa powder and add an extra tablespoon of flour. ***We use the lesser amount of sugar when making these brownies as we don't like things too sweet, however, please use more if you prefer a sweeter brownie. If you like really sweet baked goods, use up to 3/4 cup. If you don't have/like coconut sugar, you can use brown sugar instead. But tell me, what's one thing your Dad (or Mum!) taught you?